Thousands of people, many of whom are children, are bitten by dogs each year. Many of these bites are preventable. The more you know, the better you and your child will be at avoiding a horrific dog bite situation. Use this collection of dog bite facts and statistics to help educate your children. With more than 83 million dogs in the U.S., pets to 56.7 million households, dog bites occur every 75 seconds. The odds that a dog bite victim will be a child are 3.2 to 1. Severe injuries from dog bites are highest for children ages 5 to 9 years. The age group with the second-highest amount of fatalities due to a dog attack are 2-year old children. Over 88% of these fatalities occurred when the 2-year old child was left unsupervised with a dog or the child wandered off to the location of the dog. The face (lips, nose and cheeks) of children under 10-years old are the most frequent target of a dog bite. A single dog bite prevention lesson incorporated into a regular school day has been shown to dramatically reduce high risk behaviors toward unfamiliar dogs in both very young and middle school children. Dogs can bite in 2/10ths of a second. Human reaction time is roughly 3/4ths of a second. 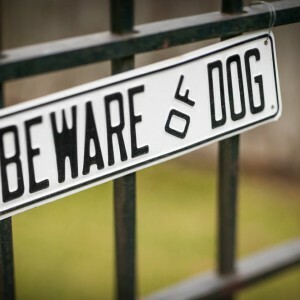 Approximately 75% of dog bites occur on the victim’s property, and most victims know the dog responsible for the attack. Approximately 92% of fatal dog attacks involved male dogs. Approximately 25% of fatal dog attacks involved dogs that were chained. Approximately 71% of dog bites occur on the extremities — the arms, hands, legs and feet. Dog bites result in approximately 44,000 facial injuries each year. Get permission from a dog’s owner before you pet it. Avoid dogs running loose or not with their owners. Do not reach through a fence to pet a dog. 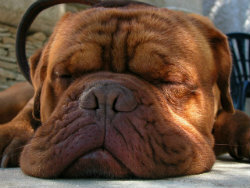 Do not bother a dog that is sleeping, eating, injured or sick. Leave a mother dog with her puppies alone; they are very protective of their babies. Do not distract service dogs while they are doing their jobs. Leave dogs that are barking or growling alone. Watch out for unfriendly warning signs: nose pulled back and wrinkled, lips drawn back, teeth bared, ears laid back, hair sticking up along its back. If your child has suffered from a dog attack, the dog bite attorneys at Nash & Franciskato can help you hold the dog’s owner liable for injuries suffered. Contact our lawyers in Kansas City for a free, no-obligation case evaluation.